Doors have opened at Quest Epping at the corner of Cooper and Miller Street, increasing the brand’s Melbourne offering by 96 rooms. 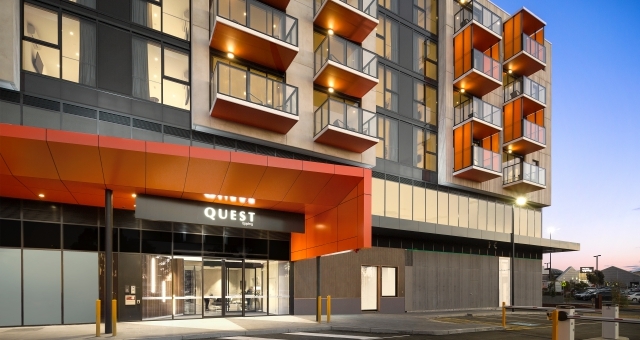 Quest Epping is the 44th Quest property in Victoria and the second Quest property to open in Melbourne within the last month, following the June opening of Quest Maribyrnong. Quest Epping is strategically located to capitalise on the increased business diversity of Melbourne’s North. 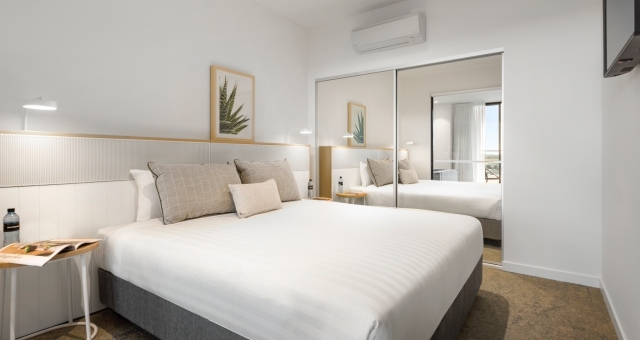 Quest Apartment Hotels General Manager – Growth, James Shields, expressed his confidence in the group’s decision to open its latest property in this burgeoning region. “The City of Whittlesea is one of the fastest growing council areas in Melbourne, with a predicted population increase of 175,000 people over the next 25 years,” he said. Quest Epping franchisees Jennifer Wilson, Daniel Wilson, Ky O’Shea and Mark O’Shea expressed their confidence in being part of such a prestigious organisation. “Our location is unrivalled, servicing the growing population of the outer northern suburbs. The property is adjacent to the Pacific Epping retail and dining precinct, which features 1,300 square metres of new restaurants,” said Ms Wilson. 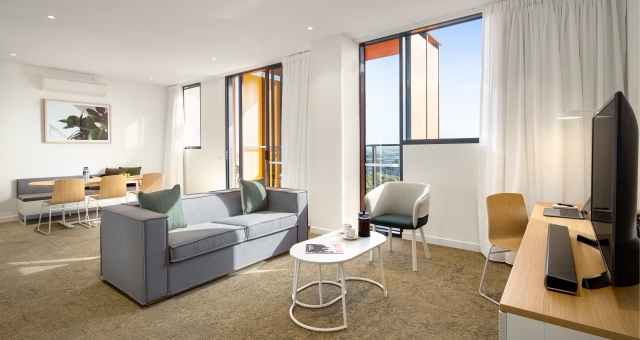 Quest Epping features 96 apartments, including studio, one, two and three bedroom configurations. The development also includes on-site parking, a conference room and gym. The broad pipeline of 14 new property openings over the next 18 months across Australia, New Zealand and the UK, shows substantial growth for Quest. In addition to Epping, this includes properties in St Kilda Road, Notting Hill, Burwood East and NewQuay (VIC); Canberra City Walk (ACT); South Perth foreshore (WA); Penrith and Orange (NSW); Quest on Manchester, Quest Tauranga Central, Quest on Tuam and Quest Mount Eden (NZ) and Liverpool (UK).